Everyone has areas that they would like to improve. Please review the menu below to see a list of the common concerns that our clients have. You will find answers to frequent questions, as well as the procedures we recommend to resolve those issues and make you look and feel your best. 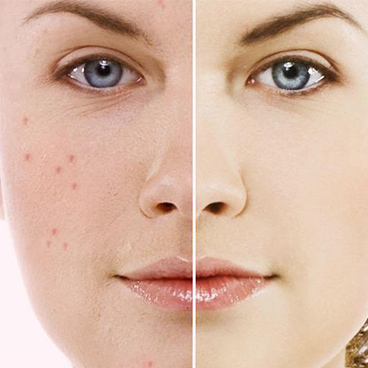 Acne is a skin condition that is characterized by inflammation and excess production of oil from sebaceous glands in which the hair follicles become plugged. Active bacteria deep within the pore break down the oil in sebaceous glands causing inflammation resulting in breakout and blemishes. Several factors which relate to this condition include stress, personal hygiene, medications such as steroids, cumulative dead skin build up, hormones from puberty, menopause and the menstrual cycle. How do We Treat the Condition? Regulation of sebaceous gland activity requires proper cleansing without stripping the skin, moisturizing with an oil free product, exfoliating the skin a few times a week which will help control the buildup of dead skin cells, applying a clay mask a few times during the week to soothe and draw out impurities. Professional treatments need to be individualized and will include a medical skin care program, and treatments such as Microdermabrasion & Chemical Peels. In severe cases Oral Antibiotics maybe recommended. Scars result in both changes in the texture and the color of the skin which include thick & raised or thin & indented skin. Various color changes may occur most commonly either hypopigmentation or hyperpigmentation and less commonly redness. 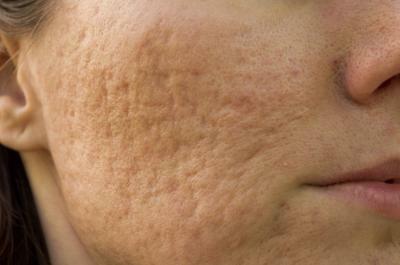 Acne scars may be particularly difficult to treat but some general measures may be helpful. Refraining from picking, using preventative skincare and following good hygiene will help to prevent or minimize scar tissue. Depending on the type and depth of the scars a number of different treatment options are available including Microdermabrasion, Chemical peels, Laser Resurfacing and injecting dermal fillers for “ice pick” type scars. What is Double Chin / Jowls? 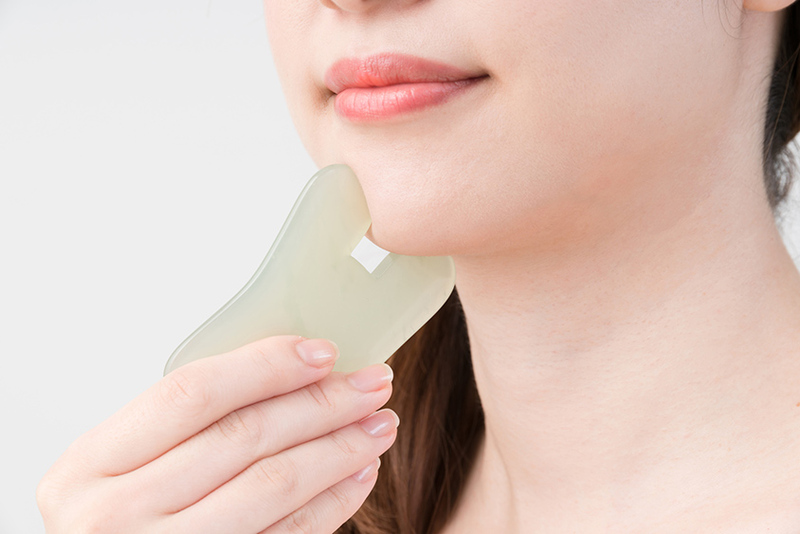 Localized fat under the chin along the jawline. Sagging cheeks and pouches of fat in the lower face. Kybella injections reduce fat below and around the chin, the submental area and the neck. Also known as Hyperhidrosis commonly occurs under the arms, hands and feet. Sweat glands are the body’s temperature regulator in this condition however sweating significantly exceeds the body’s normal requirement. Hyperhidrosis may negatively impact on ones quality of life and interfere with daily activities. There are a number of treatment options one of the most popular and effective is treating the involved areas with Botox which is FDA approved for this use. Onset of action is usually experienced within two weeks of treatment and should last over a 3-5 month period. What is Loss of Facial Volume? This is characterized by hollowness under the eyes, on the cheeks, thinning lips, hollow jaw line or deep folds in the skin. A common problem with aging is the migration of the cheek fat pad down towards the mouth. Loss of elastic tissue in the skin, bone re-absorption and genetic factors contribute to this volume loss. We have very effective, safe and relatively non-invasive techniques which greatly improve the cosmetic effects of volume loss. Injection of dermal fillers such as Juvederm, Restylane and Perlane can effectively improve the contour and shape of the affected area. Striking cosmetic improvement can be achieved around the eyes, cheeks, lips and jaw. What are Large Pores/Oily Skin? This is a common problem characterized by a shiny skin surface which upon closer inspection reveals larger pores. This typically occurs due to a buildup of sebum and dead skin cells which stretch the follicles. Topical Vitamin A works very well to clear up blocked pores other treatments that help include Chemical Peels, Microdermabrasion, Laser/IPL & Botox which is particularly helpful for the forehead. Commonly known as the mask of pregnancy it can also develop in non pregnant women. It is a light or dark brown pigmentation that occurs symmetrically in sun exposed areas of the face. Most commonly it affects the central part of the face including cheeks, nose and forehead. It occurs most often in dark skinned people of which only 10% are men. Melasma is more commonly associated with excessive hormonal influence including pregnancy, the contraceptive pill, hormone replacement therapy and is aggravated by sun exposure. 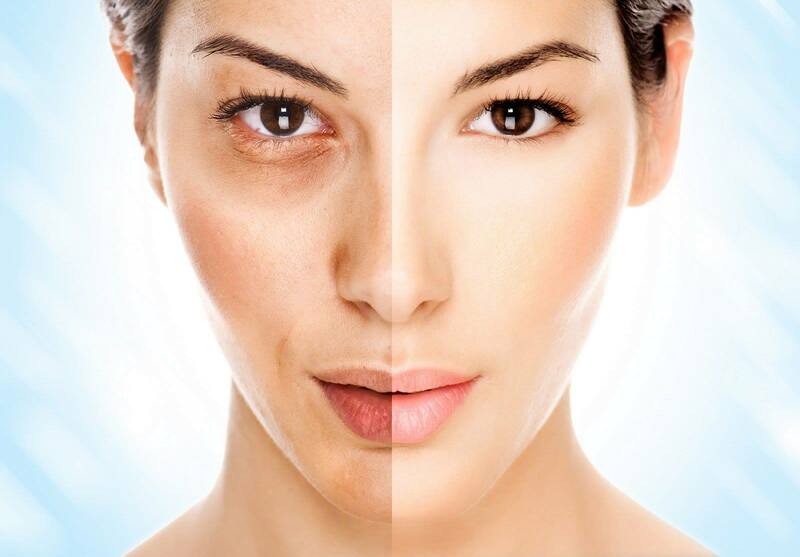 Melasma can be difficult to treat but good results can be obtained through a combination of sun protection, exfoliating, lightening agents & tyrosinase inhibitors that block melanin production. Professional treatments such as chemical peels are effective in breaking up this pigment but require patience due to the depth of the pigment. Using a physical block sunscreen over a chemical sunscreen with active ingredients such as Titanium Dioxide, Zinc Oxide must be applied daily. 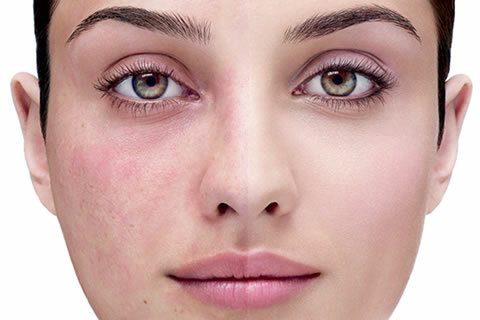 Rosacea is common inflammatory acne like skin condition. It presents as recurrent flushing, persistent redness, visible blood vessels and bumps on the skin. The condition most often affects the forehead, cheeks, nose & chin and less commonly it can affect the eyes or result in a disfiguring of the nose (Rhinophyma) which occurs mostly in men. Faired skinned people who blush easily or who have a family history of a reddish complexion are more likely to develop Rosacea. We offer a large range of treatment options including medical skincare programs containing vitamin A and prescription creams. This is supplemented with the use of Laser/IPL which can effectively reduce the visible signs of Rosacea. More advanced cases may be treated with Oral Antibiotic Therapy. Successful management includes avoiding typical Rosacea triggers such as excessive sun exposure, hot liquids, spicy foods & alcohol. Long term damage to the skin from UV light is caused by a lifetime of cumulative sun exposure and often presents as premature aging of the skin. Other changes such as red and brown discoloration, visible blood vessels, wrinkling and little bumps called milia can result. More serious problems such as actinic keratosis are precancerous and will need medical attention. 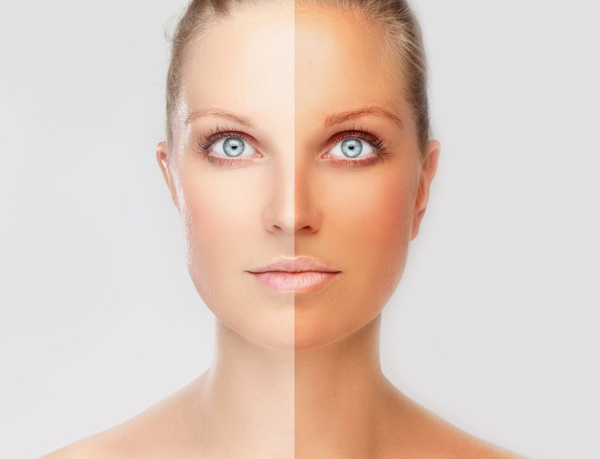 Tanning is a way that skin protects itself through increasing melanin production. This occurs with both exposure to the sun and tanning salons but of which can contribute to adverse effects. Prevention is the most important treatment, and includes educated sun awareness, sun protection and regular monitoring of the skin. 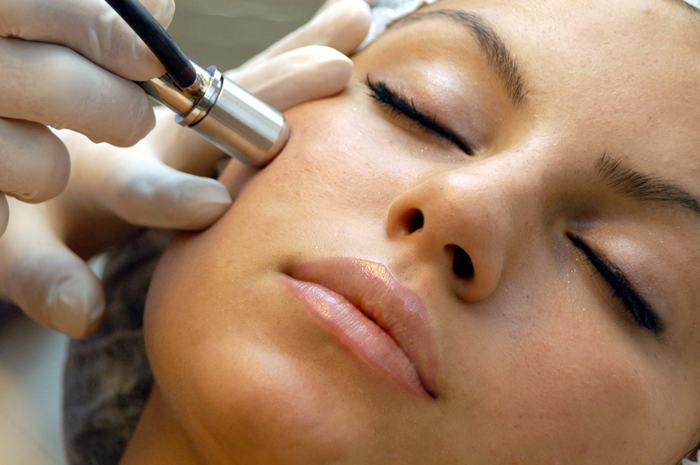 Specific treatment programs include Chemical Peels, Microdermabrasion, Skin Care Programs and Laser/IPL. Unwanted veins and blood vessels may occur individually as bright red spots or as multiple red, blue or purple spider veins. They may appear anywhere on the body most commonly occurring on the face, neck, chest and legs. At ocean cosmetic medicine we have a laser that specifically treats small veins and other small vascular lesions. Larger or varicose veins are typically treated with injections (scelerotherapy). Many wrinkles occur when we use our facial muscles to form facial expressions, these are called Dynamic Wrinkles. 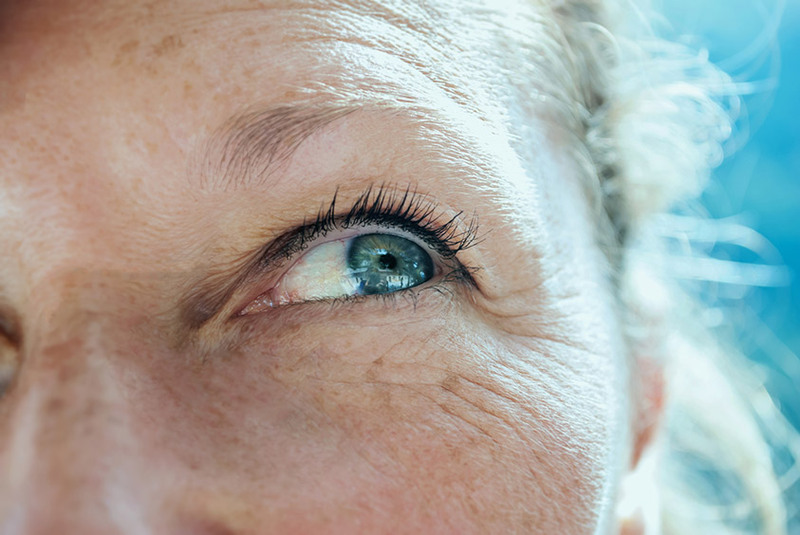 When we are young our skin springs back to its initial position, however as we age and with repetitive muscle use these wrinkles may become permanent. Wrinkles that are present at rest are called Static wrinkles. Facial lines and wrinkles are part of the natural course of aging but may occur earlier with sun damage. Wrinkles that are caused by facial expression are very effectively treated with Botox. This is most commonly used for frown lines, forehead lines and crow’s feet. Lines from the nose to the mouth and from the mouth to the chin are best treated with dermal fillers such as Restylane, Perlane & Juvederm. At times a combination of Botox and dermal fillers may offer the best results. These two treatments help create a natural, and more refreshed facial appearance that is safe and long lasting.